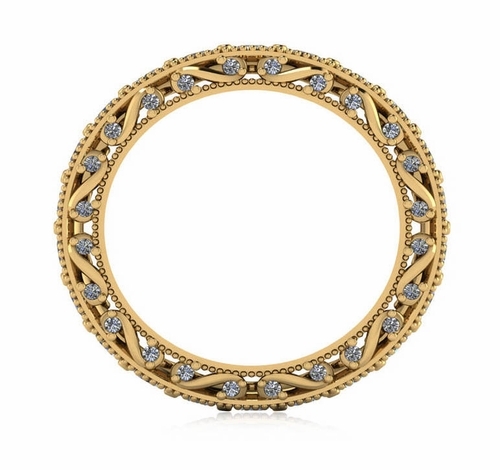 The Versailles Round Cubic Zirconia Milgrain Scroll Estate Style Wedding Eternity Band features approximately 2.25 carats in total carat weight of the finest hand cut and hand polished Russian formula lab created laboratory grown diamond quality cubic zirconia stones. This beautiful band features exquisite detailing with its milgrain and scroll type design. 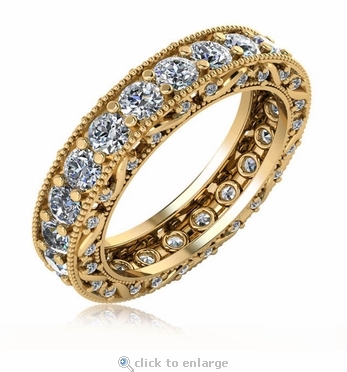 The round channel set stones are further enhanced by the micro pave set round stones on both vertical sides of the band. The ring measures approximately 5mm in width. 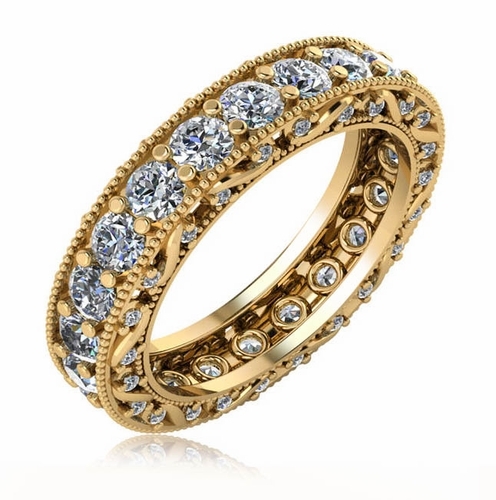 This estate style wedding band is available in your choice of 14k yellow gold, 14k white gold, 14k rose gold, 18k yellow gold, 18k white gold and luxurious platinum. Whole and half finger sizes 5 through 8 are offered in the pull down menu, for additional finger sizes please call. For further assistance, please contact us directly at 1-866-942-6663 or visit us via live chat and speak with a knowledgeable representative.